Just popping on here today to share some of my favorite fall looks that I have come across while trolling my favorite blogs the past couple of weeks. My wish list for warm weather items is already a mile long! Nearly bought this white Tahari wrap coat (Marla) from Macy's last weekend when they had a sale, bringing it down to $270 - but I hesitated, and now it's back up to $400. Fail. Next time I'll act faster! I've been in search of the perfect brown leather boots for awhile now. I am determined to find some this season. These gorgeous Frye boots on Rebecca from Cella Jane are so perfect! Loving this Anne Taylor jacket on Lilly from Lilly Style - so bummed it's sold out! I would love to recreate this jacket / striped top / skinny jeans combo, such a classic look! What are some of your favorite fall fashions and must-have warm weather staples?? yes to all of these - especially that gorgeous burgundy coat!! Oh I just love the fall fashion!!!! 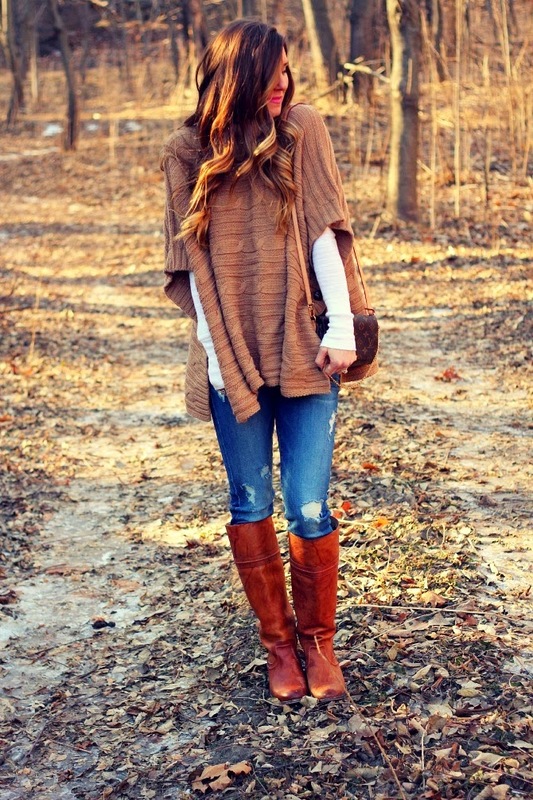 :) I love all the layers, cardigans, and BOOTS! ALL the boots! Lol!